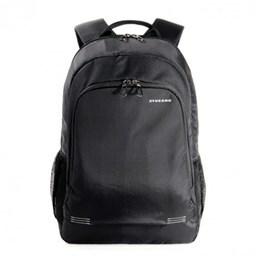 Features Internal compartment with extra padding for laptop protection. Front organisational pocket. Strap to attach it to a trolley. Side pockets for bottle and umbrella. Ergonomic padded back panel and straps. Other features Internal compartment with extra padding for laptop protection. Front organisational pocket. Strap to attach it to a trolley. Side pockets for bottle and umbrella. Ergonomic padded back panel and straps.